Early start on Saturday. Don't normally catch a train to go fishing, but it was the latest round of BLAC qualifiers... in central London. 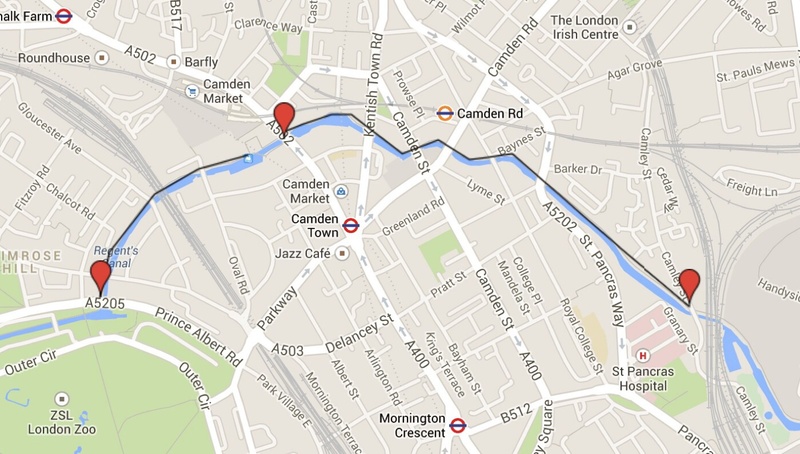 I've been dying to fish this stage having worked in Camden for 2 years. Every day I stared into the Regents Canal and wondered whether there were any fish hiding in the shadows. It didn't take long to answer that on Saturday morning. There are Perch. Lots of Perch! We had great fun in between catching fish, dodging the many joggers, cyclists and tourists, avoiding tramps, and catching all manner of 'treasure' from the depths. It was different. Very different. I'd love to do it all again sometime. Huge thanks to Jules for taking a punt and putting on a fishing comp in the centre of London. 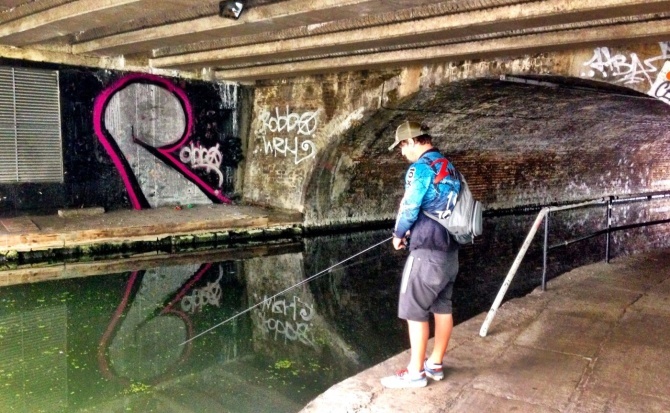 A big step forward for UK Street Fishing. Special thanks to Ben Tregoning, my fishing partner for the day. Great chat and good fishing. Ben smashed me towards the end, by moving to a little hardbait. I was getting worried! Another 30 minutes and Ben would have done me. Also, have to give credit to John Wheeler who took all the cool points by fishing Bait Finesse all day. A gutsy move given the pressure to qualify. What was interesting was that John definitely saw a better stamp of fish and that showed in the results. Well done John. Top angling. I was also really happy to see Kamil qualify - my partner from the first qualifier. Well done mate. See you at Chew!